'Gilt Trip' (Joseph Ghio, R. 2005). Seedling# 00-51A2. TB, 40" (102 cm), Midseason to late bloom. Standards light red; falls plush red-black; beards tangerine; gold crystalline halo on all petals. 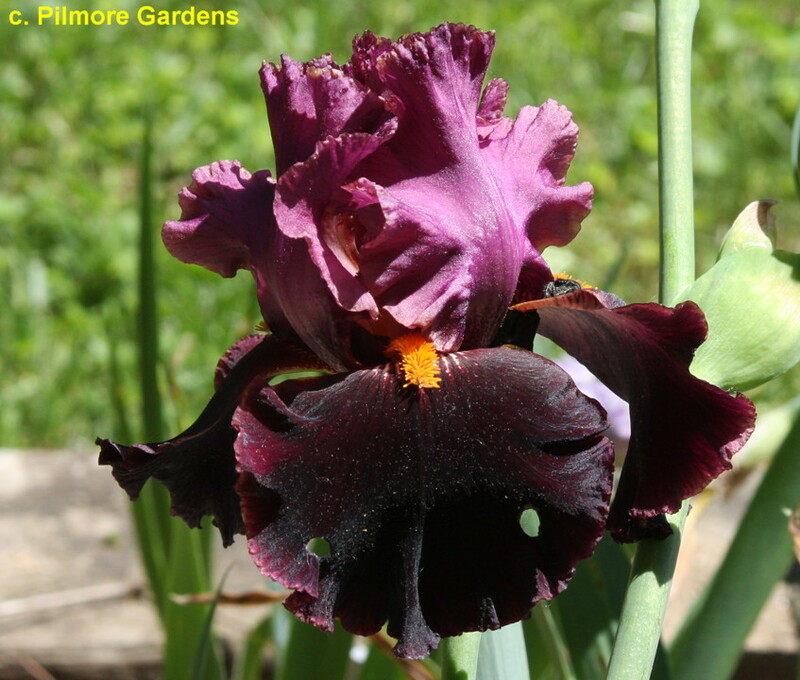 Seedling# 97-80B2, 'Current Events' sibling, X seedling# 98-3K, pollen parent of 'Applause Line'. Bay View 2006. From Bay View Gardens catalog, 2006: GILT TRIP, 40 inches, ML. $45.00. Something different in the bitones derived from the Romantic Evening line. Light cranberry red domed standards and the semi-flaring falls are plush red black. Ultra-smooth application of coloring. All petals have a distinct crystalline hairline band and light lacing and ruffling. Strong tangerine red beards and tall well branched spikes. No. 00-51 A2:97-8082, Current Events sib X 98-3K: ((Vizier x 94-177N2: (91-71 F2 , Regimen pollen parent x 92-305T, sib to Different Flavors pollen parent)) x Starring).